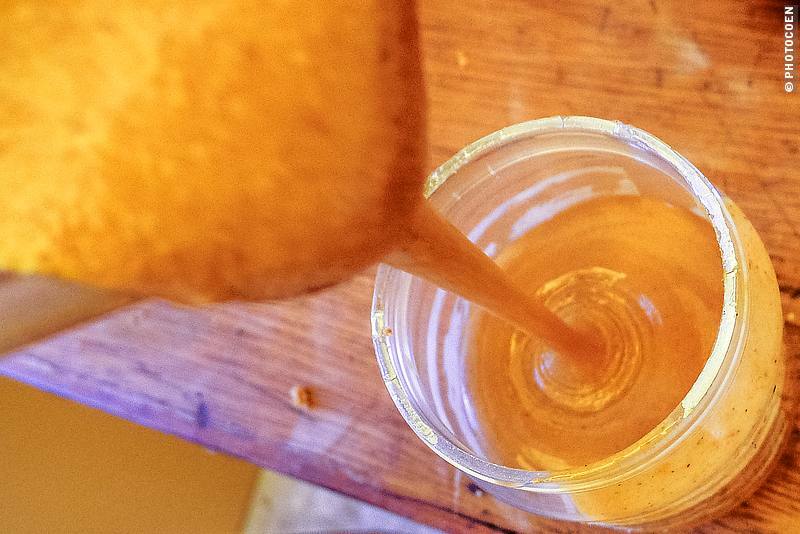 Until about a year ago I couldn’t have imagined I would ever do a post on peanut butter. Why write about something you never eat? No, that never was because of a peanut allergy or anything like that. In, fact it was quite simple: the one or two times I had tried peanut butter, I simply hadn’t like it. It started with a bit of an awkward moment. 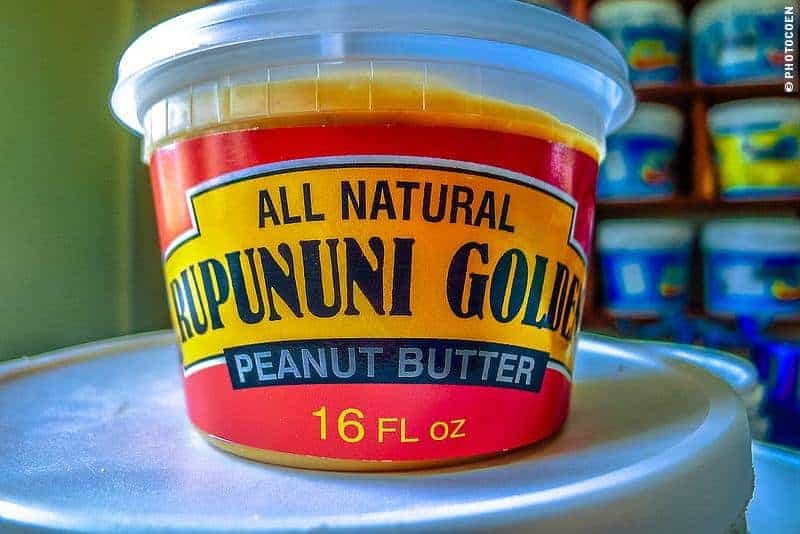 During our trip in Guyana we had stumbled upon a small peanut butter factory, which is a local women empowerment project in the Rupununi Savanna. We checked it out, met the manager Yvette and got a tour of the place. Here’s the full story on that visit. At one point she opened a bucket and spooned a thick layer of peanut butter on a cassava cracker. “Here you go,” she offered. Coen started drooling, convinced he was going to get both pieces. After all I didn’t like peanut butter while he loves it. However, I didn’t want to be impolite and reckoned I would survive a bite of this. I bit a corner off the cracker.”I taste peanuts!” I exclaimed as if it was the most miraculous thing in the world to taste peanuts when eating peanut butter. Who knows what brand I had previously tried. “I taste peanuts!” I exclaimed as if it was the most miraculous thing in the world to taste peanuts when eating peanut butter. Who knows what brand I had previously tried. My world of peanut butter changed. We bought a jar from Yvette and by the time we finished it, we met Marcel and Sandra, who ran Portal do Vento Guesthouse in Tatajuba in northeast Brazil (read about our visit here). What started as an invitation for coffee extended into a two-week stay during which we did a kitesurfing course (here’s the story). We connected and enjoyed many sunset caipirinha cocktails together on the beach. 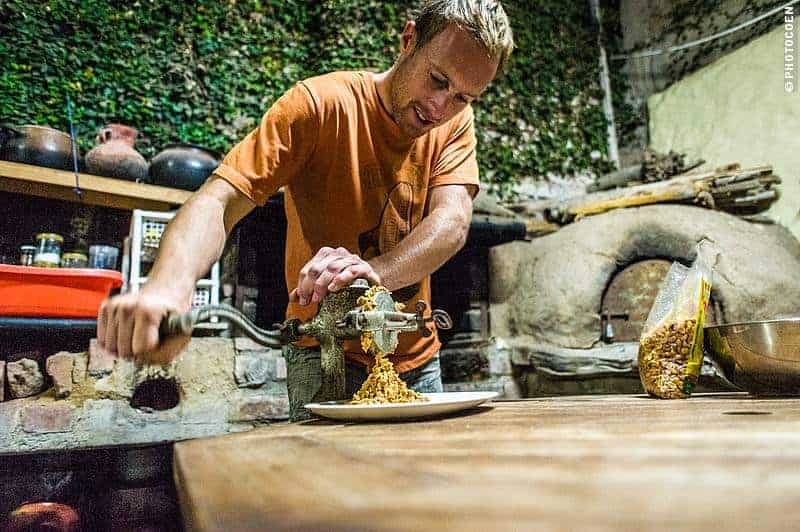 Marcel is the chef cook, which is a reason in itself to visit the place because his meals are just glorious. 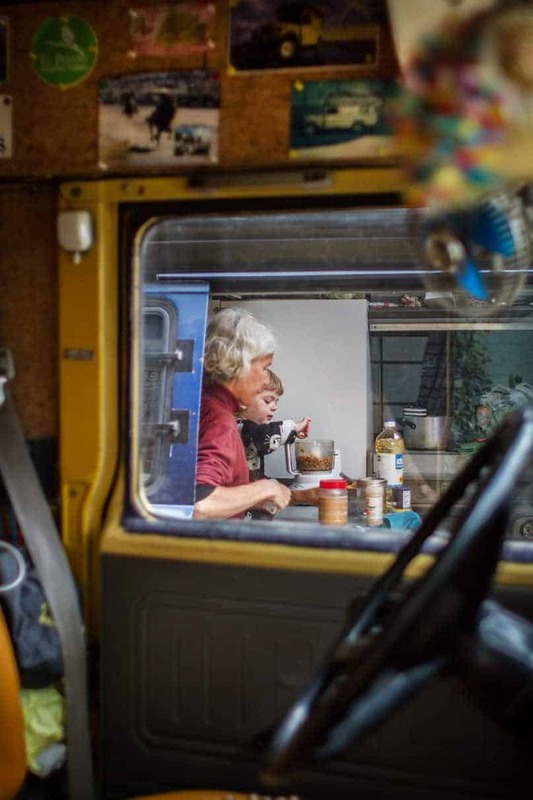 Their breakfast buffet consists of homemade, whole-wheat bread and cakes, homemade jellies and fruit juices, pancakes, AND Marcel’s own peanut butter. That’s more than ten ingredients. Granted, they’re not all bad but you only need peanuts. That’s it. If you like you could add sugar or salt, which is really not necessary. Coen likes a pinch of pepper in it while Marcel’s magic touch is to add a handful of crunched cashew nuts at the end. The big jar of peanut butter Marcel had made for us was empty within weeks. Now what? Fortunately, friends in Cochabamba (Bolivia) have a blender. We could try that. We successfully made our own peanut butter, with that pinch of pepper that Coen appreciates so much. I have to add that some blenders are not strong enough to make peanut butter without having to add additional vegetable oil. Most people in South America have blenders for fruit juices, and so in order to prevent the thing from blowing up, I do add a bit of vegetable oil (never olive oil; taste is horrible). A concession in taste and healthfulness in exchange for not ruining somebody else’s blender – I can live with that. 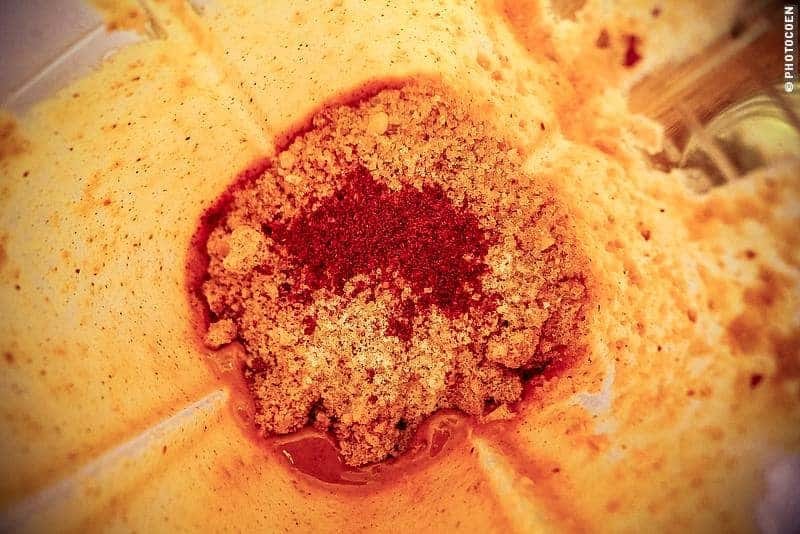 Add Coen’s touch of cayenne pepper. 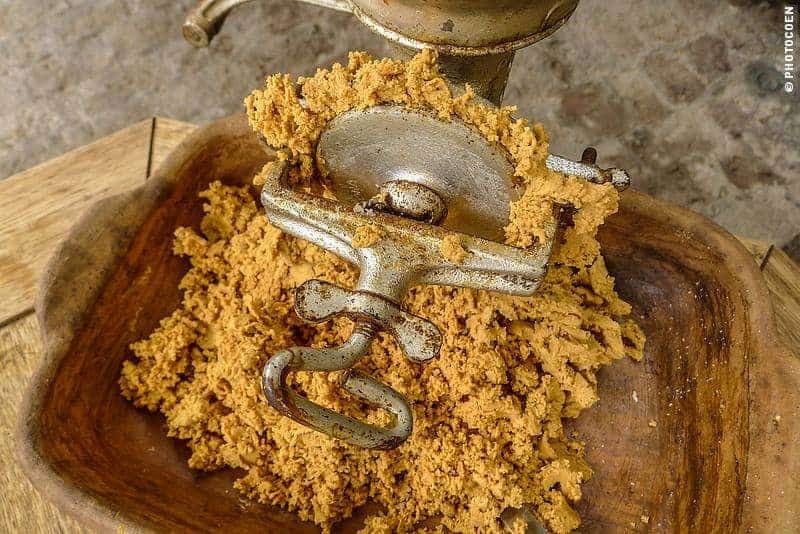 By now the sport had started: where would we find a blender to make new peanut butter? Maybe it now seems that we eat a jar a day. Don’t worry, it is not that bad. 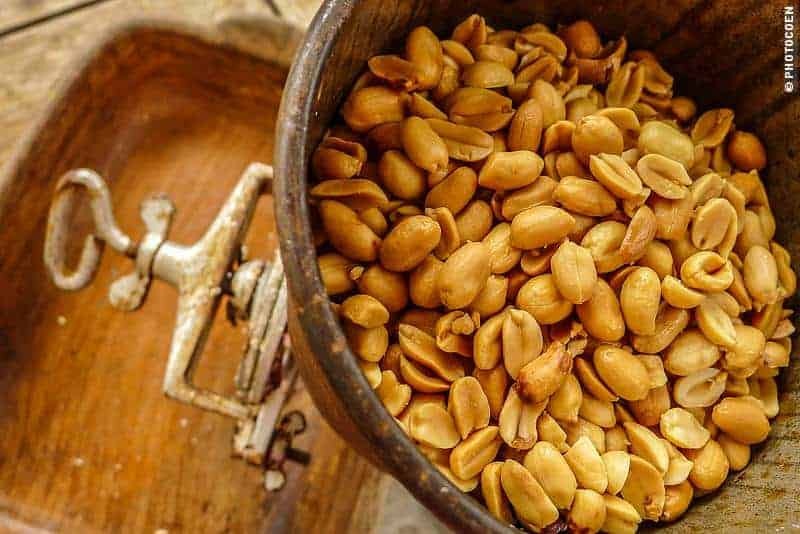 Most of you are familiar with our speed of traveling and understand it takes us weeks if not months to drive from northeast Brazil to Cochabamba in Bolivia, and to our next peanut-butter-making destination: Cusco. At the Quila Lala Campsite in Cusco, Peru, we could borrow Milagros’ blender (Milagros runs the place). Again, we added some vegetable oil to save the machine, but the result was great. Everything in blender with a bit of oil. We made so much because while we eat peanut butter on our bread, I learned from our American friends that it is also a perfect food to dip raw vegetables in or to eat it with banana or apple. Unsurprisingly, during our meeting in Lima Colette was keen on helping me again. We could use their food blender. Colette excelled in pushing the button and scraping the bowl clean with her fingers. We had fun! After Lima we had to wait until we reached Huanchaco, in north Peru. 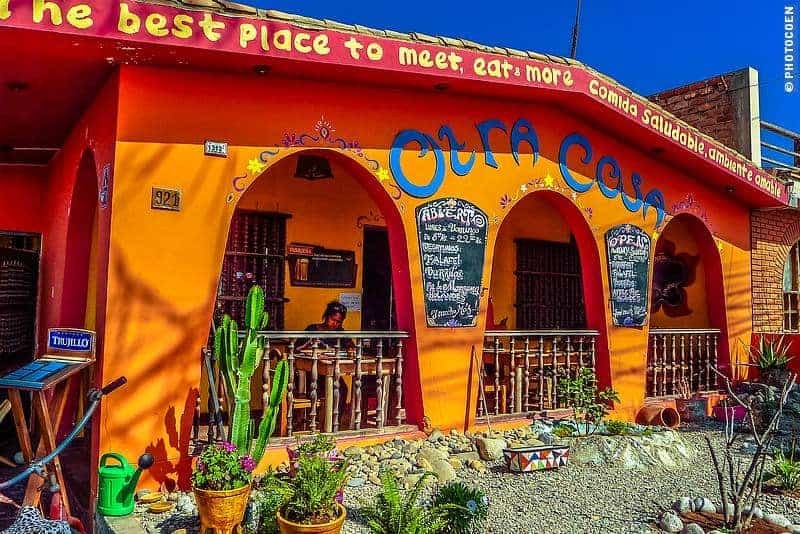 We met Berry, a Dutch guy married to Milagros, a Peruvian, and together they run the Vegetarian Restaurant Otra Cosa. It was no problem to use their blender so one morning I set to work. It was busy in the kitchen though. The blender switched between me making nut butter and the cook making fruit juices. It was not very practical. 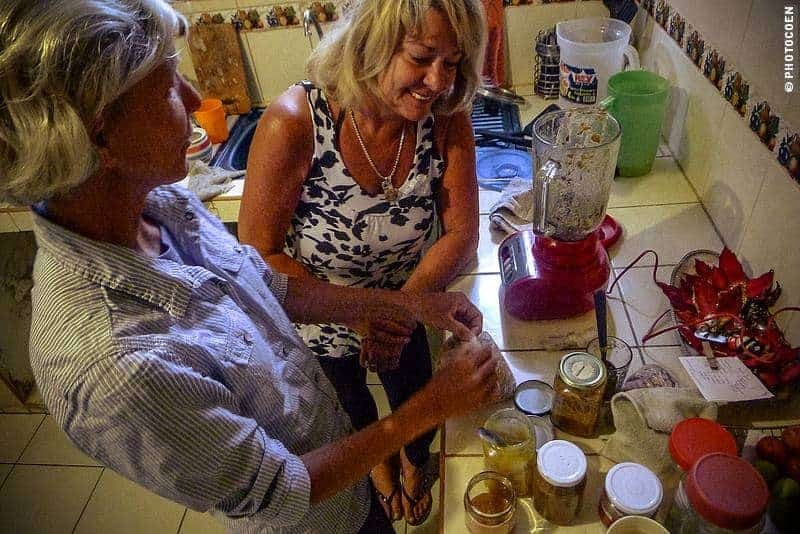 Meanwhile I had met Julie, from La Gringa’s hostel, and taught Julie not just how to make almond butter but hummus and peanut butter as well. More fun! Thanks Adam for the picture (©ouropenroad). We had now made peanut butter in Brazil, Bolivia and Peru. In Ecuador we stayed at a guesthouse in Vilcabamba where we could use the kitchen where, lo and behold, there was a blender. By now we were seriously thinking if we should get our own machine. And if so, which one? Of course having a 24-volt battery system in the car does complicate these kinds of purchases. It had taken us ten years to buy an oven, and now we were loving it. Wouldn’t that work for a blender as well? I experimented a bit more and made my first cashew butter. Recommended! The same discussion we had about the oven returned: How often would we use it? Would it be just a hype which would fade away, and thus a waste of money and space in the Land Cruiser? Or would we be using it often and for various things? Oh yes, we have meaningful discussions under those pitch-dark skies with twinkling stars! Or should we simply use this peanut-butter addiction as a way to make new friends by using their blenders and in exchange providing them with free nut butters? 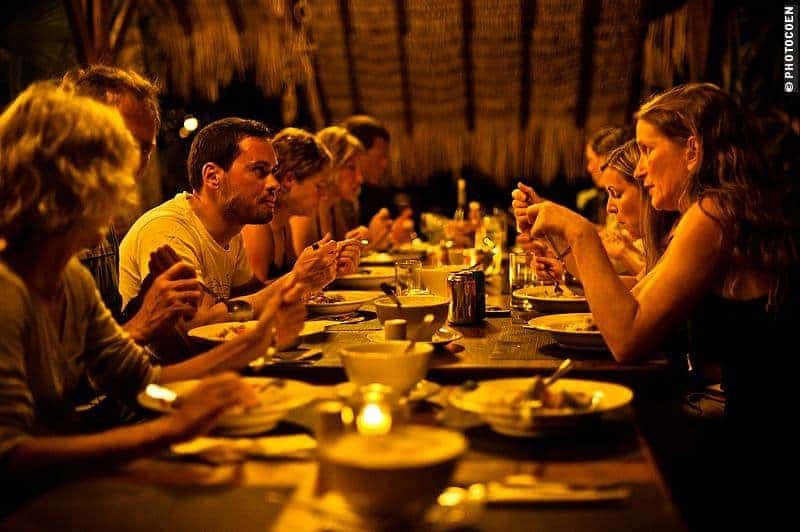 It would be another interesting way of meeting people, just as the HASH had brought us new kind of interactions, or Couchsurfing. She likes stuff. But proper stuff. Stuff that works, of which parts can be replaced or fixed instead of having to replace the whole thing. In her book she also discusses the subject of sharing stuff, which is a good way of looking at using stuff more efficiently as well. More in-depth conversations followed under more magnificent skies. 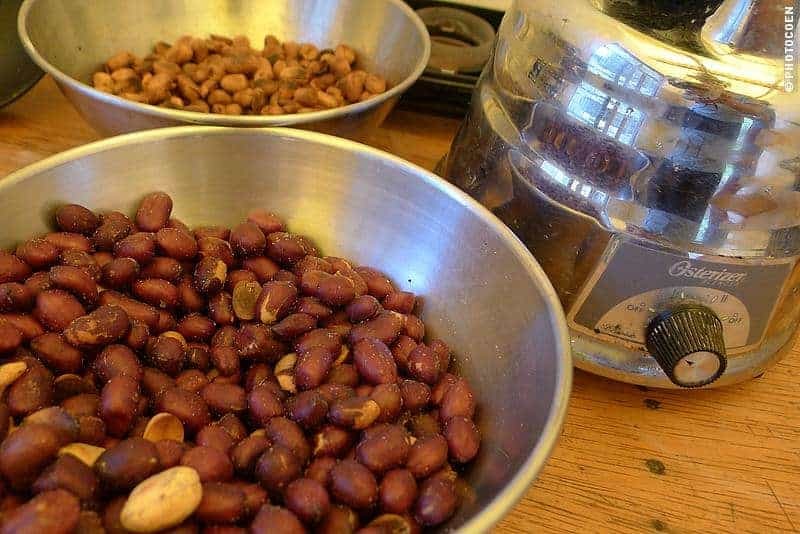 Making more nut butters at La Gringa’s place. What Do You Do With all that Peanut Butter? Maybe you wonder where all this peanut butter goes? Well, first of all, we have been making our own bread, which we often eat with peanut butter for breakfast. For the peanut butter we have second perfect dish: peanut sauce. Anybody who ever followed our stories in Southeast Asia knows that Coen LOVES peanut sauce. Now there’s a true addiction! He would order saté (skewers with chunks of chicken) in Singapore and Malaysia just for the sake of drowning them in peanut sauce. 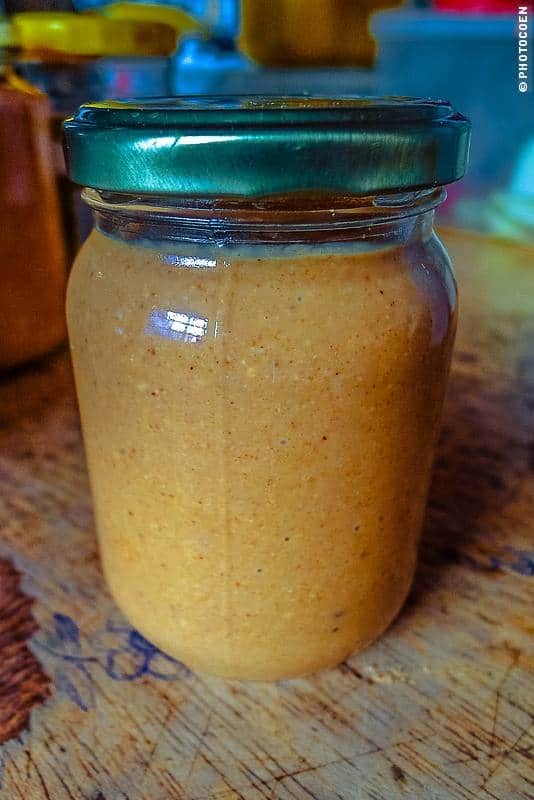 Peanut Sauce is a similar story to peanut butter. The ready-made versions in the supermarket simply don’t come close to making your own. 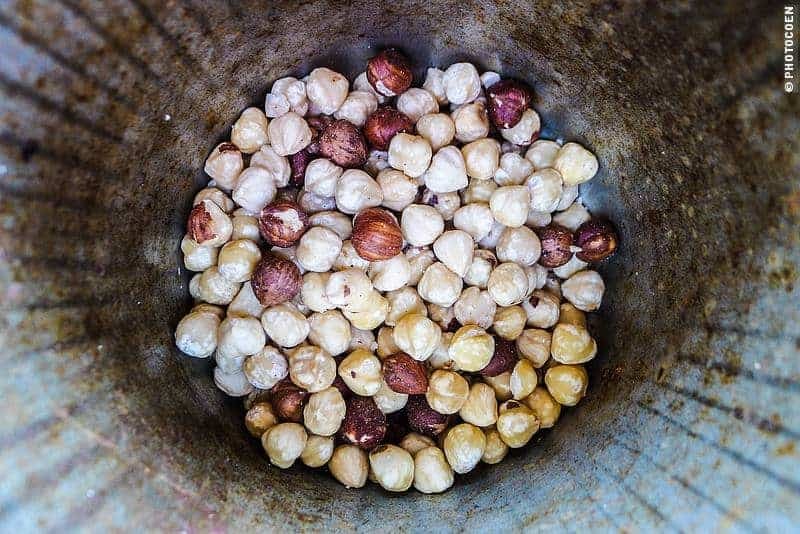 Coen got the recipe from his father, who makes the best peanut sauce in the world, and so on a regular basis we add it to our rice and vegetable dishes. Meanwhile we returned to Huanchaco once more. This time we camped at Guesthouse Casa Amelia. To our big surprise Paul and Renee, who ran the place, were making their own peanut butter as well and sell it to guests. 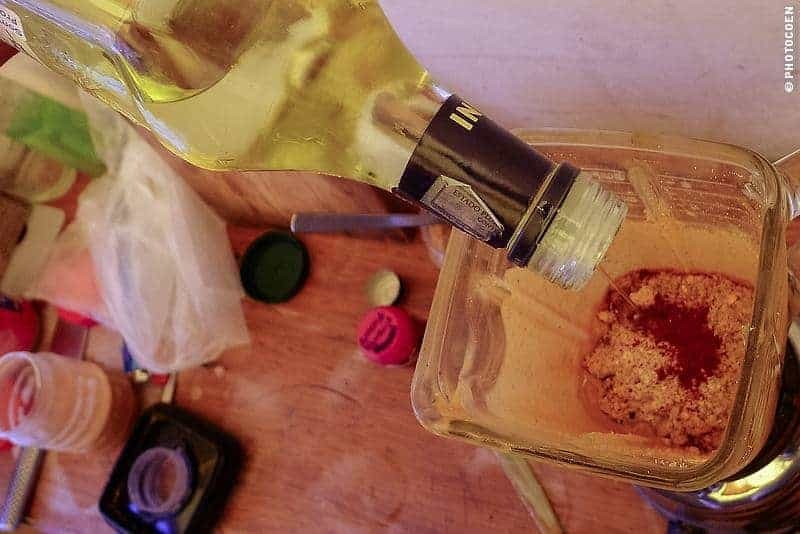 They initially used a blender and learned the hard way you can blow it up if you don’t add oil, and then found a grinder. Paul demonstrated and Coen picked it up quickly. 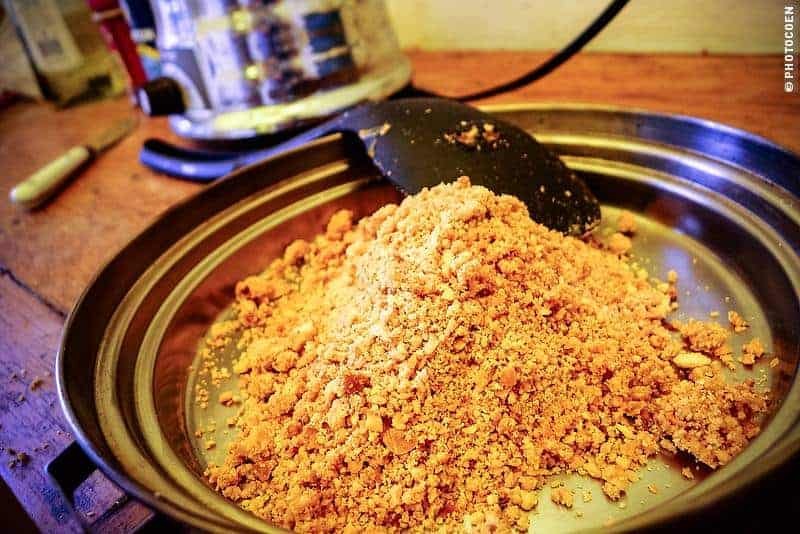 You can’t add oil and so the result is a much thicker peanut butter than normally because the grinder doesn’t allow the peanuts to release its natural peanut oil (which does work with a strong food blender). A grinder is a perfect tool for those who like the purest peanut butter with nothing added to it. 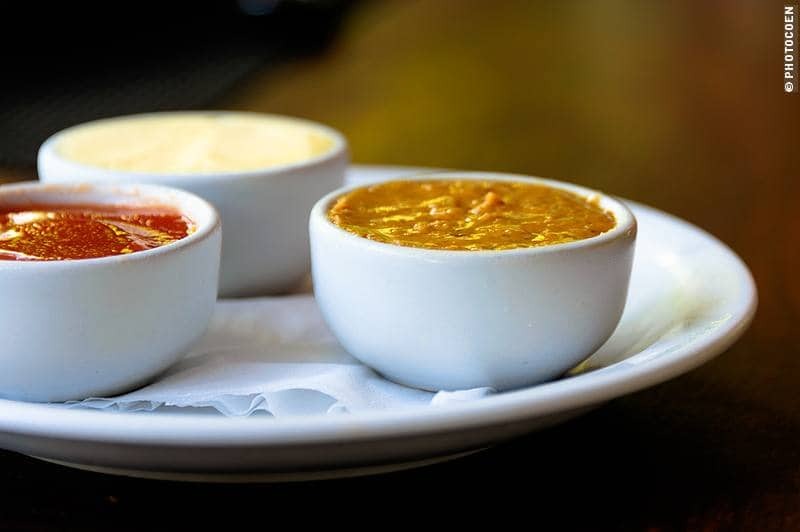 While we prefer to mix in some condiments, we find this plain version a perfect base for peanut sauce. Just Stuff or a Helpful Tool? We debated on the issue forever. Coen checked the internet, asked other peoples’ opinion, a Facebook friend did some testing for me with a Tupperware Power Chef System and Coen had contact with overlander about the pros and cons of his recently bought GSI Outdoors Vortex Blender . Nothing felt exactly right. 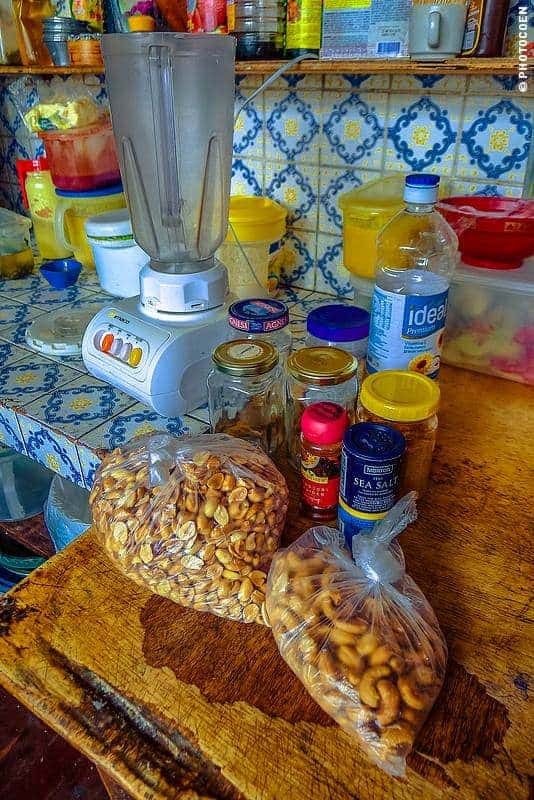 We had reached the conclusion that having our own blender would bring enough advantages over depending on hostels with a shared kitchen or friends with blenders. We also concluded that if we were going to buy something it had to be something good and not some cheap Chinese junk version that would fall apart in three weeks. Also great to make hummus. The Story of Stuff made us think this purchase through more thoroughly, looking at it from different angles. I encourage you to read the book (or start with the videos I mentioned above). Anne Leonard is incredibly inspiring by not just stating all that is wrong but also giving constructive solutions and ideas on how to solve the issue of consumerism that is destroying our planet. Then, one day, somebody on Facebook talked about a Bamix hand blender , which became so interesting that Coen will dedicate a future blog post to it. Stay tuned! By purchasing a Landcruising Adventure T-shirt you contribute to keeping this website online and sharing the wonderful vibes of overlanding. 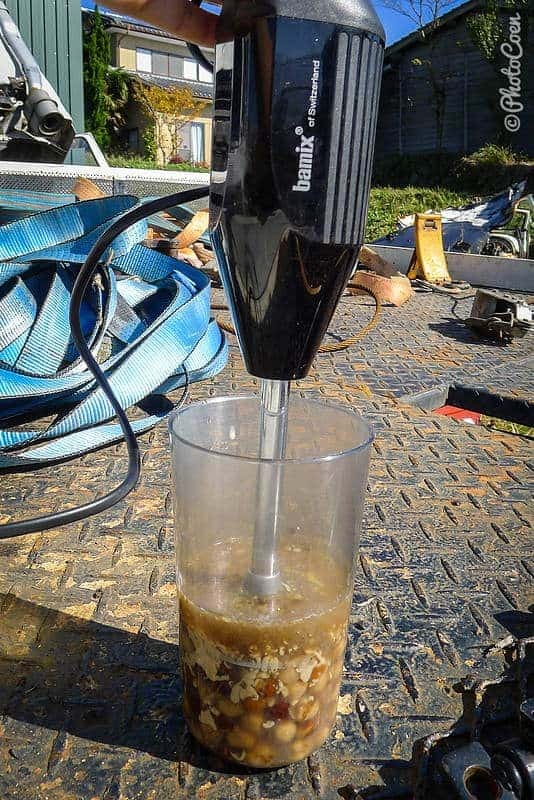 Looking forward to hearing about your experience with the Bamix blender.